Anyone else bored of seeing “Pin It For Later” on everyone’s website? I am. 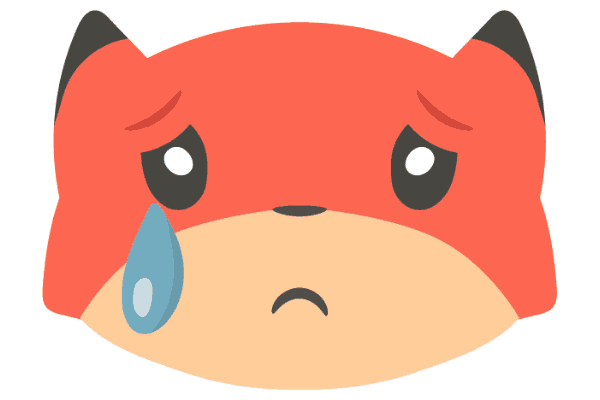 As content creators, we want people to love and share our content. And sometimes we need to remind readers to do so. That why a call to action is so important. But when we use the same call to actions as everyone else they can easily get overlooked. You want your call to action to stand out and show your personality. *This post contains affiliate links. If you click on a link, I might receive a small commission. If you don’t know, a call to action is a small statement encouraging people to take action. 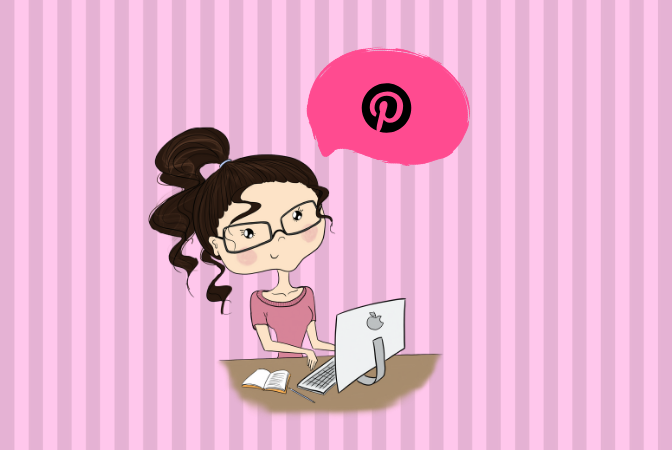 Whether it’s to read another post, sign up for your freebie or pin your graphic. But why do you want people to pin your content? Wouldn’t it be better to get them to sign up for your email list? Yes, email lists are great. Yes, you should have called to actions for them to sign up for your email list. But an amazing little thing happens when you get people to pin your graphics. It drives new traffic to your website. New eyeballs on your content. New people to sign up for your email list. Also, it drives traffic back to your website. How many times have you stumbled on a post that you didn’t have time to read. And said to yourself, I will come back and read this, make this, or share this. But you never did! Pinterest lets people bookmark your content. They can revisit it and take action on it. You want this! 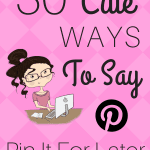 So for your next post try one of these cute ways to say pin it for later. This is a pin-pin situation. A cute play on the say a win-win situation. Got a (insert type) board? Pin me around. There is so much content out there right now. People are overwhelmed. I am overwhelmed. Golden Rule: Give Clear Instructions. Even better give people “why” they should do something and then clear instructions on “how” to do it. If this made you grin, then give it a pin. Pin This Sh*t Down, Now! Not everyone is not cool with on swearing but I am kinda a fan! Remember to make sure that your call to action expresses your vibe. It makes your reader feel like you are a real person. Be brave and give it a save. If you are craving it, then save it! This one would be so cute on a food blog. You could also rhyme Yummy with Tummy for something cute. But my mind is drawing a blank. Cave and give it a save. Oh, Hey! Pin This Before You Leave. This would be a great reminder at the end of your post for your readers. Don’t regret it, Pin It! We have all been there. Regretting to pin a post and then trying to find it again. No better time than now to Pin it! You Got this! Pin it! Action is magic. Pin now! It all starts with a pin. Pin it down and get it done. It would be a sin not to pin. You’re one pin away from greatness. Ok, I am a bit of a motivation junkie and love this one. Don’t let someday, be no day. Pin Now. So often we see something on Pinterest we want to do or make but never take any action towards it. This belongs on a board. Ya, it does! You could even suggest a certain type of board. This belongs on your dinner recipe board. Pintastic? Add it to your board. Have you ever seen a better pin? Take a second to pin it. It only takes a second to push the pin button. Remind people of this. Want To Remember It? Pin It. This would be great for quotes or motivational posts. Stop everything and Pin Now. A great direct way of saying do this now! You could use the word pause instead. Or take a break. A fun idea is to have several pins to choose from. I use the Tasty Pins plugin and force pinning only the graphics I want but its a cute idea. Save this to use…….for your next family gather, bake sale, church luncheon. etc. This call to action is great because it gives your reader a suggestion for how they can use your content. A little overdone, but still fun and cutesy. I first heard this from my kids preschool but then saw it everywhere. This is a play on the phrase “add to cart.” It’s direct and fun. Again you can suggest boards that someone might pin this to. 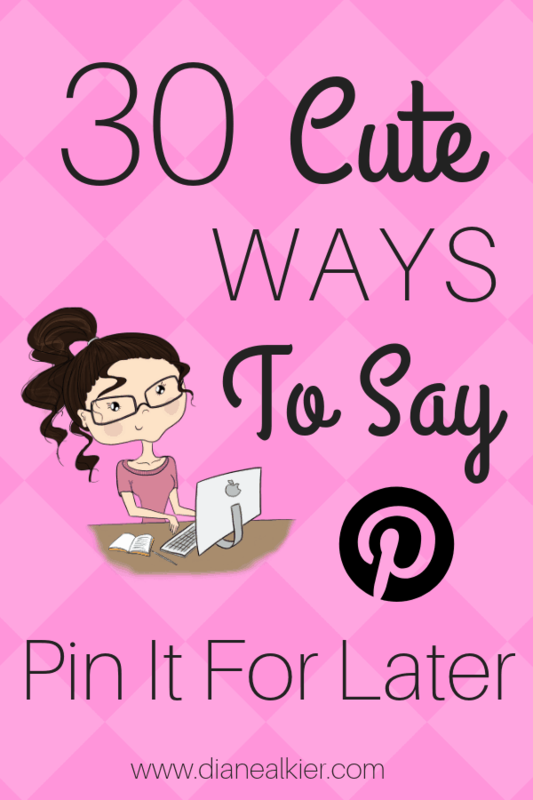 Hope you enjoyed these cute ways to say pin it for later. I know that you’re going to love some and hate some. But I would love to hear what your fav’s are in the comments! You’re one pin away from greatness. 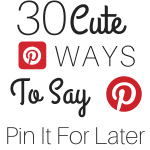 So get pinning!!!! Here are some of my favorite Pinterst resources. Tailwind is a Pinterest scheduler. That’s right you don’t have to spend hours on Pinterst. Check out their free trial here. 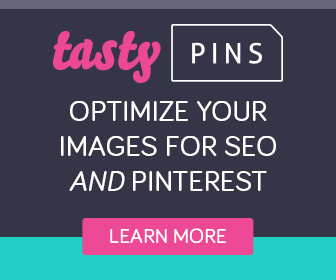 Tasty Pins optimizes your images for Pinterest. I love the forced pinning option. 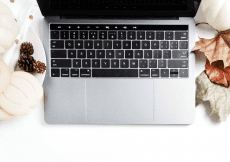 Looking for other Blog + Biz tips?